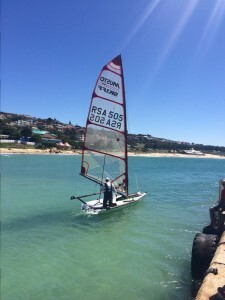 MUSTO Skiff South Africa will be holding a training session and Demo day during March 2019. This will enable all interested sailors to understand more on how to sail a MUSTO Skiff and to try out the boat. The training session will be held on 27 March at 17h00 in Cape Town. This will session will cover the Musto Skiff video and a land training session. The Demo Day will be held at Theewaters Sport Club on either 30 or 31 March depending on weather conditions. Please email us via contact page if interested in joining us. The 10th MUSTO Skiff Worlds will take place in Medemblik between 5 and 13 July 2019. This is an event not to be missed with the intention to get 100 boats on the water! The MUSTO Skiff class is continually looking to improve the class. The latest updates to the Class rules was published by World Sailing with an effective date of 21 April 2017. The 2018 MUSTO Skiff World Championships are to be held from the Blairgowrie Yacht Squadron, Melbourne, Australia between 7 and 14 January 2018. The containers have recently left Europe for the event and it looks like it is going to be a bumper event. The 2017 MUSTO Skiff World Championship was held in Palma, Spain at the end of May. At the conclusion of the 14 race series two South Africans were at the top of the 63 boat fleet. Each year the Musto Skiff Class completes an annual survey. The 14th survey held in 2016 received responses from sailors in 17 countries. Read the details of the survey repose here. The 2014 annual Musto Performance Skiff survey is now open and we are looking for both current, and potential, Musto sailors to complete this. This survey is now in its 12th year and has been very useful to the class administrators and sailors to provide input on the class. Deadline for completion is 12pm GMT on 1/12/2014. Please take 10 minutes of your valuable time to give us information on what you would like to see us doing! The SA Musto Performance Skiff class is very excited to announce the availability of boat finance for the purchase of new boats. We believe that the product offered by Maslow Finance (they finance most bicycles purchased in South Africa) will be a game changer in the growth of our class, and sailing in South Africa. The balance is repaid at a rate dependant on the payback period; 1 year funding at 10%, 2 year funding at 12%, and 3 year funding at 14%. The rate is fixed for the period of the loan. These rates are very competitive and the process very simple, an ideal combination to get you on the water with the most exciting boat! There is still time to get your hands on a boat for the Southern Charter Grand Slam at TSC! Contact us for more details, or alternatively further information is available on the Maslow Finance website. 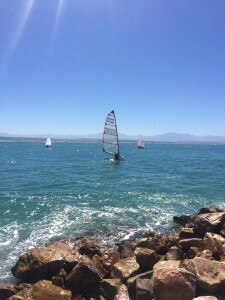 Thanks to the South African Sailing federation for putting this in place! 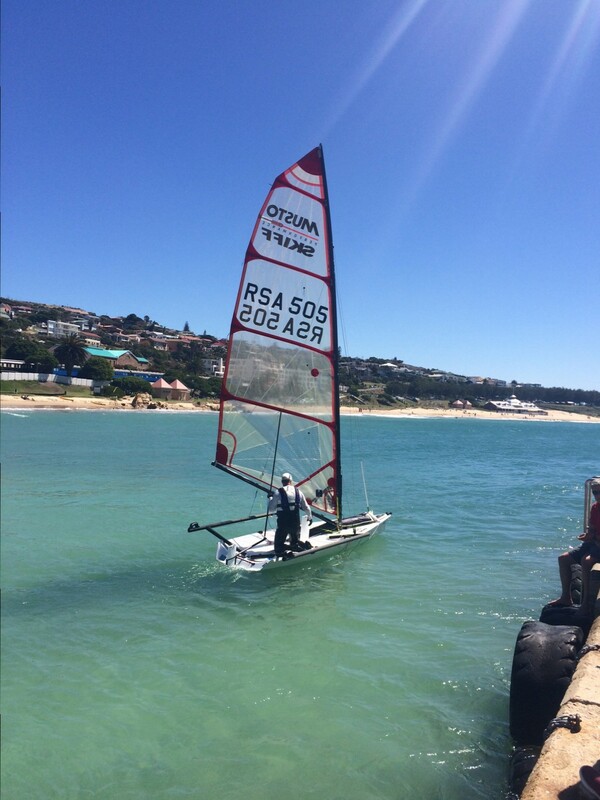 This regatta at Mossel Bay lived up to all it’s hype with over 144 boats in the combined fleet. The first two days provided superb sailing conditions of warm weather, good breeze and large swells, and then the last day dawned with not a breath of wind and temperatures in the late 30 degrees celsius. There was unfortunately only one Musto at this event and Peter tore a muscle shortly after the start of the first race so that was the end of his weekend – a great missed opportunity for amazing open water sailing. Next year the Musto Skiffs will be back with a strong class!